It is comprised of many parts, each of which will help adoption legal services make the right decisions for you and the child you wish to make a part of your family. Visiting your home allows local adoption services to screen you as prospective parents to be certain that you are suitable candidates for adoption. Although many people feel nervous about the home study and wonder what to expect, you don’t have to be worried about it. If you prepare yourself ahead of time for this part of the adoption process and understand the type of information you’ll be asked to provide at this time, you should have no problem when interviewed. Application and Documentation - The application will include a list of required legal documents that you must provide, as well as a number of personal statements (see below). Background Check - Background and criminal checks will be performed for every person in the household age 14 and older. 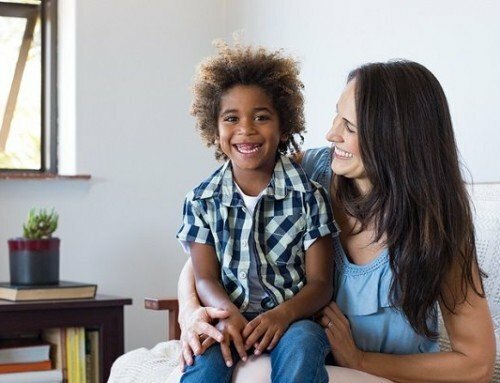 In-Home Visit and Interview - The adoption agent will come to your home to observe your home setting and family plus interview each of you to get an idea of the home environment. After Placement - There will be a number of post-placement visits to ensure the arrangement is working well for everyone. If you have any changes in your personal circumstances such as a new job, moving, and others, you must update the home study. The home study will be reviewed yearly, so it is critical that this information be kept current. What Kind of Documentation Is Requested? Autobiographical and Health Statements - A personal history that provides insight on your upbringing, values, educational and employment history, health issues, and more. You will also be required to have a health exam and disclose any medical conditions or concerns. Income Statement - You will be asked to verify your income as well as provide information about savings, investments, insurance policies, outstanding debt, monthly expenses, and more. Personal References - You will be asked to provide the names, addresses, and phone numbers for a few personal references such as friends, family members, employers, co-workers, neighbors, and others. What Is the In-Home Visit and Interview Like? In addition to the application and documentation, local adoption services will come to visit you, your spouse, and your other children if you still living in your home. Each resident in the home will be interviewed by the agent to get a feel for everyone’s personalities as well as the family and home dynamics. They will also tour the home to make sure it’s clean and healthy, comfortable for all residents, and does not pose any safety hazards. Take note that agents do not expect a spotless home; cleanliness is very important; however, a certain level of clutter and lived-in appearance is considered normal. Local adoption services understand that the adoption home study process can be intimidating and you might be nervous about it. Fortunately, your adoption attorney can help you get through the process with confidence by discussing it with you ahead of time and helping you gather your documentation and prepare for your home interview so your application is viewed as favorably as possible. Though the home study process might seem daunting, do keep in mind that it is the goal of adoption legal services to approve as many applications as possible to bring parents and children together in new, happy families!